Mario’s return to the spotlight in Super Mario 3D Land is big news for gamers, but PETA has a bone to pick with Nintendo’s iconic plumber. No, it’s not Mario’s turtle-stomping or gorilla-toppling ways that have the animal rights group up in arms — it’s his raccoon-like Tanooki suit. The organization — which has become known for their rather unique protest campaigns over the years — even went so far as to fight fire with fire, commissioning a playable game to highlight their complaints. 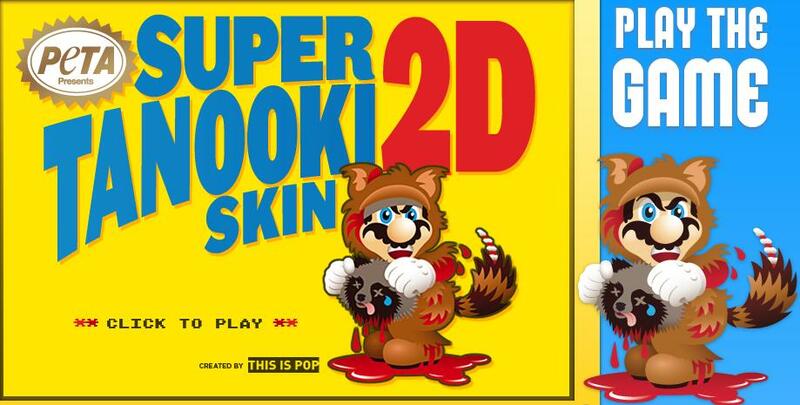 In “Mario Kills Tanooki,” players take on the role of a skinned tanuki chasing after Mario as he flies away wearing a bloody suit made out of your fur. Nintendo hasn’t officially responded to the campaign at this point.